Fresh, original, creative, and fun! But the details make it the very best! 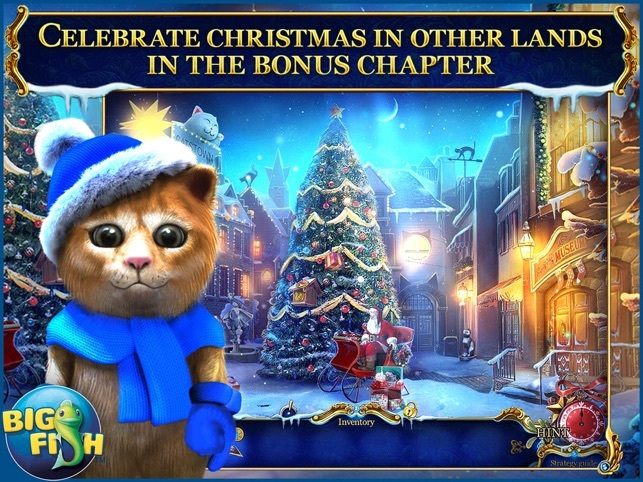 Beyond just gorgeous graphics and a festive (but not annoying) Christmas sound track, the details make this stand out as a FANTASTIC hidden object/adventure game. Puzzles are original and fun, not just the same regurgitated ones I've already seen on dozens of other games. And they are challenging enough to be actually interesting, without being ridiculously hard. Map that teleports you to any previously visited site is great, and also shows you which sites you have a task to do, and even where you have undiscovered puzzle pieces (which are used at the end of the game to make jigsaw puzzles in the extras section). Hint function helps without doing it for you. Difficulty settings are very customizable to make it a fun experience for players of all levels. 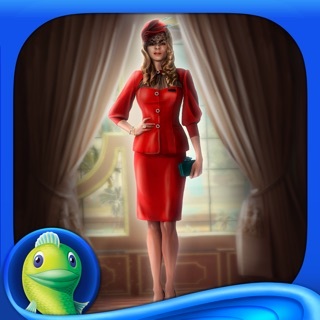 Hidden object scenes are original and feature whole items to find (not just lots of random pieces of things like in some games). Story is cute and does not involve the occult. 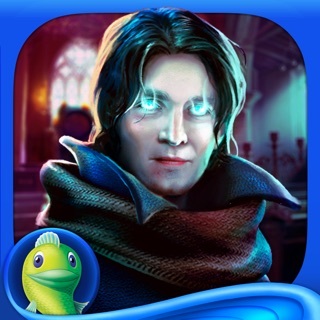 All the Christmas games by Elephant Games (Nutcracker, Tin Soldier) are great, but this newest one is the best of ANY hidden object/adventure games I have ever played. Cannot recommend highly enough! Shocked by how great this game is! Very few of these HO games leave me hating that it's over, but this one definitely did. I thought it was going to be more for kids & too easy, but while some mini games are very easy for the kiddos, there are also some that aren't. 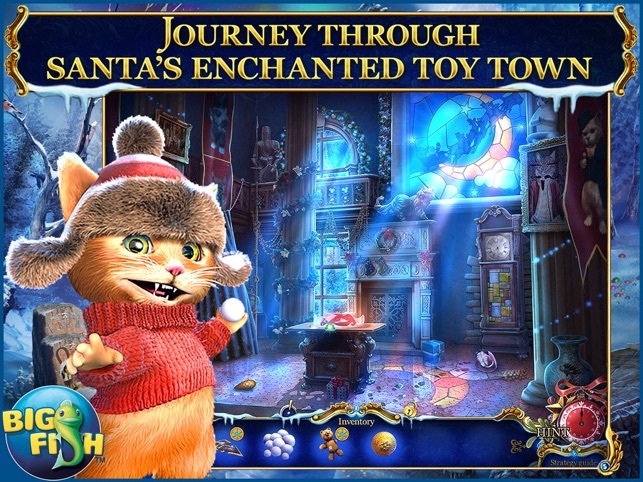 It's fantastic to see a HO game that suits both adults & children AND that both adults & children will truly enjoy. 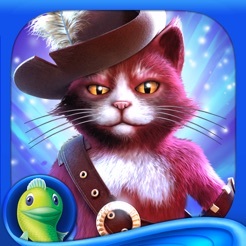 It's light-hearted, has uplifting fun music, and the graphics are fantastic. 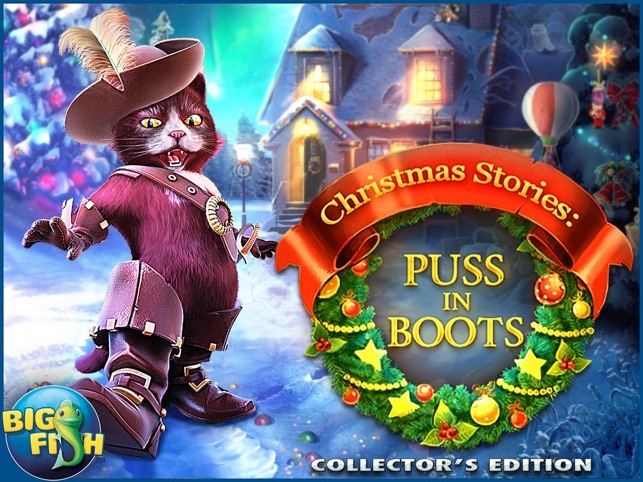 If there is any complaint I could have, it would be that Puss in Boots should have the same accent as the animated Puss in Boots from the movie & tv show. But, out of everything that could be found to complain about, that is all I can muster. I love that in both the main & bonus games, just when you think it's about to end, there is just a little more that needs to be done. Of course, when it actually ended, my 9 yr. old & I were thoroughly disappointed. PLEASE make more of these types of games! Well worth the full price, which I haven't been able to state for any other HO game I've played. A Very "Meowy" Christmas to You! Elephant Games makes my favorite Christmas games. They are cute, charming, and the art work and music are fantastic! I still have the Nutcracker game open, because I like to play it occasionally throughout the year! 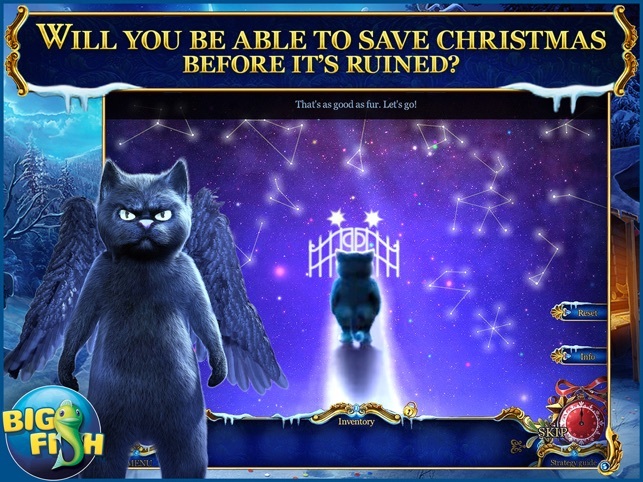 In this game, your cat, Simon, assists you as you help Santa Claus recover the magic Star that holds the mystery of Christmas. 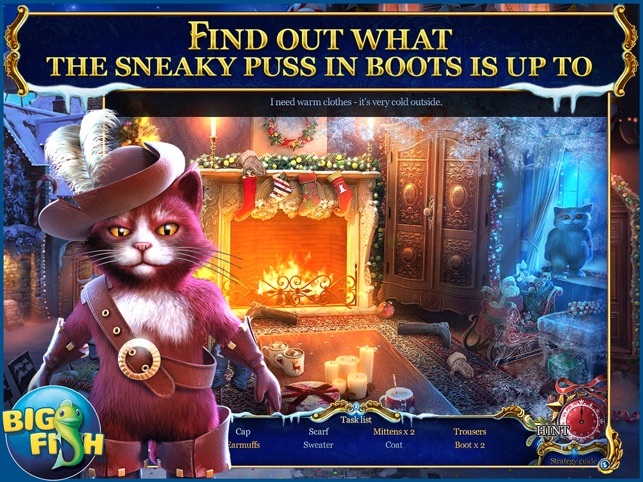 You have seen the villain, a cat who looks suspiciously like Puss in Boots. You venture into Cat Town, a mystical village of all cats. There are Morphing Mice in costumes that you must collect along the way. Small kittens make requests of you, like mending a Teddy bear or finding a Santa toy. Naturally, the more good deeds done, the more rewards. Simon does the climbing for you, and acts as an emissary between you and the other cats, who are afraid of most humans. The tasks are simple, but fun. There is no real violence in the game, other than someone getting buried in a snowdrift or under a pile of cupcakes and doughnuts! This is family-appropriate and adorable. Enjoy, and happy holidays to you!